Plant's voice is a bit dodgy as the show begins. He adopts an almost raspy tone during Over the Hills and Far Way. As the song ends, someone near the taper shouts "nice one Jimmy!" Following Black Dog, Plant tells the crowd "we're just gettin' over Scotland... I think it was much better than California last time." Page is on fire during an incredibly powerful Since I've Been Loving You, one of the best in recent memory. Plant introduces Dancing Days as "a very spirited little song with references to school days and gym slips." The Song Remains the Same is dedicated to "whistling John Bonham." The Rain Song is absolutely beautiful. Someone near the taper can be heard saying "Stairway to Heaven" under his breath before Plant introduces Dazed and Confused as "a police message." Bonzo pummels his drums with incredible force during the initial verses. Page solos wildly during the lead-in to the bow solo as Bonzo and Jones hold down a funky rhythm. 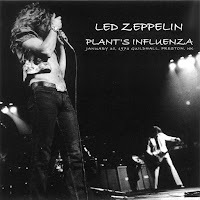 Plant's lyrics during the San Francisco interlude are punctuated by a cascading avalanche of drums from Bonzo. As Page begins the bow solo, someone in the crowd can be heard shouting "boring!" Page blazes through the guitar solo/workout section as Bonzo thrashes wildly at anything within reach. A cut in the tape loses the transition back to the main riff, leaving us at the beginning of the final verse. The outro is a frantic race to the finish lead by Page's frenzied, wah-wah drenched soloing. The band plays a bit of The Hunter prior to the theramin freakout in Whole Lotta Love. Plant begins his boogie rap with a few lines from Freddie King's You've Got to Lover Her with a Feeling. The raucous medley includes devastatingly heavy renditions of Boogie Chillen', Elvis Presley favorites (You're So Square) Baby I Don't Care and Let's Have a Party, I Can't Quit You Baby, and Goin' Down Slow. The recording ends just before the final note of the finale. The tape is clear and well-balanced, if a bit noisy at times.